Over 700 million euros in turnover. More than 5,000 employees. 22 sites around the world. 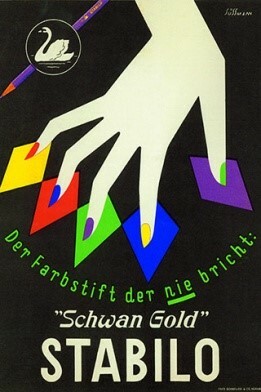 Schwan-STABILO is one of the most successful family firms in Germany today. 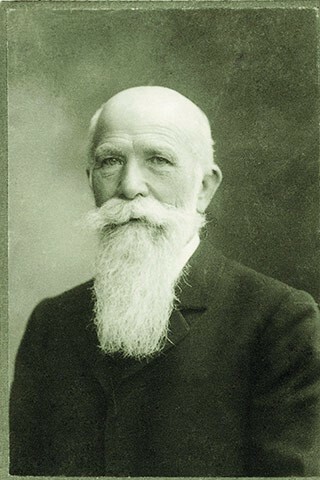 Gustav Adam Schwanhäusser laid the foundations for the company’s success back in 1865. 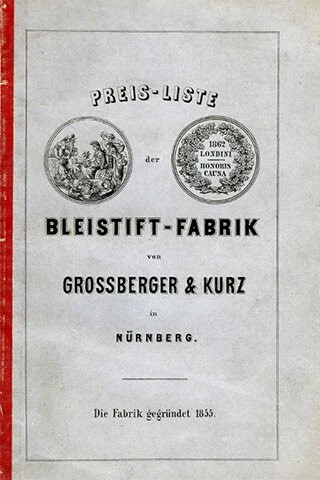 He quickly recognised the opportunities offered by the burgeoning Industrial Revolution, obtained a loan of 32,000 guilder from his father, and purchased a pencil factory founded 1855 in Nuremberg. More than 160 years and five generations later, this has become an international group with three independent divisions: Cosmetics, Writing Instruments and Outdoor. Today, as in the past, entrepreneurial courage, foresight and knowledge of what is feasible form the mainstays of the company’s success. As a leading private label manufacturer of cosmetic pencils and products worldwide, Schwan Cosmetics counts virtually all internationally renowned cosmetics companies among its customers. Since the first eyebrow pencil in 1927, Schwan Cosmetics has been a major source of innovation and inspiration for the global cosmetics industry. 95 percent of our products can be traced back to ideas and developments that we offer to cosmetics brands. 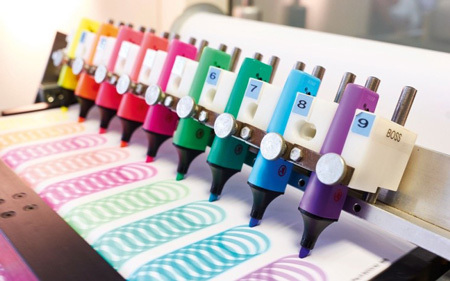 is one of the leading manufacturers of writing instruments in Europe and continues to set standards for writing, colouring, drawing and highlighting. Examples include the global billion-selling classics such as the STABILO BOSS highlighter, the STABILO point 88 fineliner, and many other pens and pencils for creating colourful and creative designs. Most recently, our expertise in the digital sector has led to a diagnostic tool with a pen and app to help occupational therapists in their work with patients. Working in close collaboration with mountain sport professionals, Deuter develops functional, top-quality outdoor products that guarantee safety and reliability for the customer in extreme situations. Deuter have been outdoor experts with passion, tradition and experience since 1898. Innovation has always been what drives our employees and ensures successful products. Combining economics, ecology and a social conscience gives Deuter a basis for a secure future. THE VOICE OF THE MOUNTAINS. 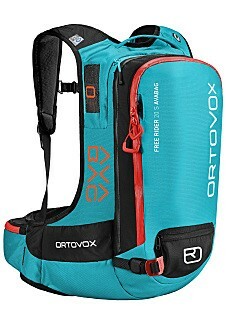 Since the company was founded in 1980 in the south of Munich, ORTOVOX has stood for a sophisticated protection and comfort system for mountain activities, characterised by the responsible treatment of people and nature. As pioneers in the field of avalanche safety, ORTOVOX has played a key role in the development of emergency equipment for use on the mountain. Innovative hardware products and functional mountain sportswear with wool, as well as targeted training measures, contribute towards making mountain sports that bit safer every day. Quality, functionality & responsibility: A combination that has worked at Maier Sports for over 75 years. Maier Sports develops high-quality, functional outdoor and ski clothing and is a highly innovative fitting and trouser specialist. Thanks to their in-house sewing workshop and typical Swabian ingenuity, they provide a comprehensive repair service. Gonso is a provider of functional cycling apparel, and a recognised expert in cycling pants in Germany, having invented cycle pants with a synthetic cushion. GONSO isn’t about going higher, faster or further, but about enjoying cycling. "IDENTIFYING AND SEIZING OPPORTUNITIES. THAT IS THE CORE OF OUR DNA." We offer an excellent work-life balance. "WE ARE A FAMILY FIRM OURSELVES. FOR THIS REASON ALONE, THE COMPATIBILITY OF FAMILY AND WORK IS MORE THAN MERE LIP SERVICE FOR US." 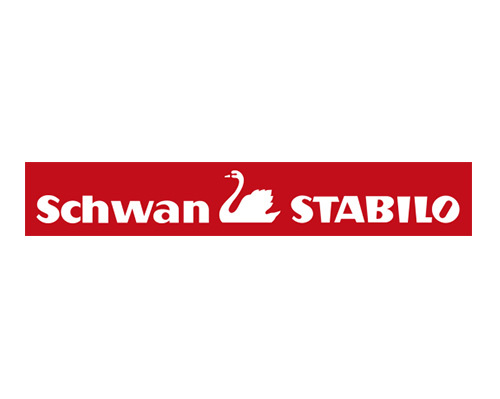 The Schwan-STABILO Group is resolutely driving the transition towards the future. “We have to keep asking ourselves what we can offer the world of tomorrow,” said executive shareholder Sebastian Schwanhäusser at today’s announcement of the balance sheet figures for the 2016/2017 fiscal year (ended 30 June 2017). The company, now in its fifth generation of family ownership, generated 713.5 million euros total turnover between its three divisions, Cosmetics, Writing Instruments and Outdoor. 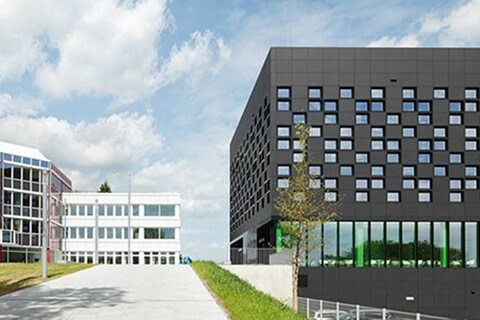 Cosmetics generated 364.7 million euros (previous year: 364.3 million euros), STABILO achieved 184.4 million euros (previous year: 185.2 million euros) and the Outdoor subgroup contributed 164.2 million euros (previous year: 157.1 million euros). Georg Conrad Grossberger and Hermann Christian Kurz began mechanical production of pencils in 1855. There was no question that the global development of industry, art and science provided good conditions for the business. However, just ten years later, the company was in such financial trouble that it went up for sale. 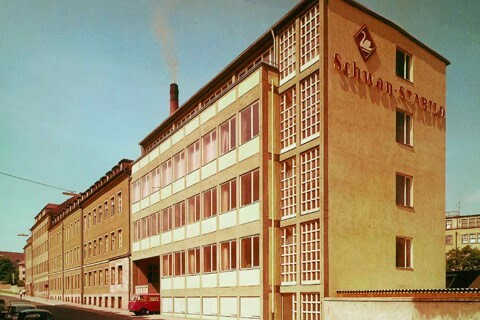 Gustav Adam Schwanhäusser lays the foundations for the success of Schwan-STABILO, purchasing a pencil company Grossberger und Kurz with a great deal of personal commitment. The company is still owned by the family, and is now in the fifth generation. A pencil with an extremely sturdy lead is created for the first time. 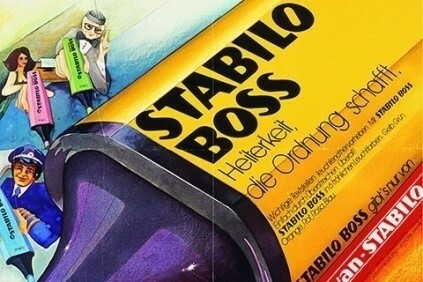 The STABILO brand is launched. 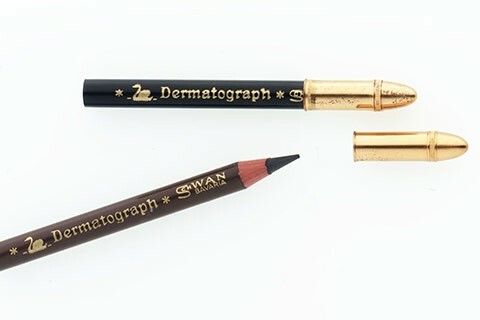 The first eyebrow pencil is created from a “dermatograph”, which surgeons use in operations to mark the skin. The first delivery of eyebrow pencils to the USA lays the foundations for the later cosmetics business. Max Factor dealt personally with the Schwanhäussers. The British bombed the greater Nuremberg area for the first time in August 1940. The final blow came on 2 January 1945 when several hundred bombers hit Nuremberg and the factory, leaving extreme destruction in their wake. 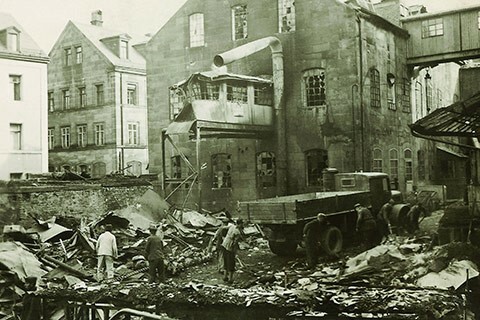 The historic city centre was in ruins and Schwanhäusser’s factory had been heavily damaged. Further air raids followed until the city was taken by American troops on 16 April 1945. After twelve years of Nazi rule, the city of Nuremberg and the pencil factory were in ruins. The company had been rebuilt out of the ruins of war into a modern and functioning enterprise in the center of Nuremberg. 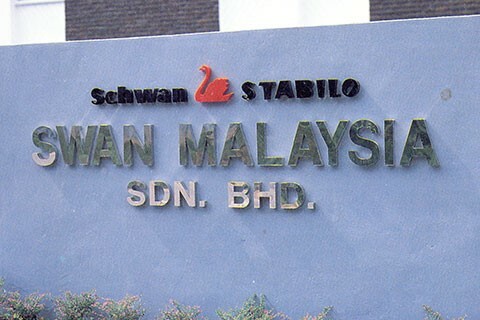 Schwan-STABILO was the first German company to invest in Malaysia with a Joint-Venture. What began at Johor Bahru as a small factory with attached retail outlet and a workforce of 20 people, soon developed into a booming business. Until today it’s an important location in Asia. Sales hits STABILO BOSS and STABILO point 88 fineliner are launched. At the same time, the previously small cosmetics division becomes a second mainstay for the group. With internationalisation and the following separation of the Writing Instruments and Cosmetics business units, Stabilo enters boom times as a globally successful company and Schwan Cosmetics is developed and expanded to become today’s leading private label producer for all renowned cosmetic brands, worldwide. In this period, Schwan Cosmetics releases numerous product innovations that pave the way for modern cosmetic pencils: the first twist mechanisms (cosmetic pencils that no longer need to be sharpened), a completely new generation of sharpenable pencils, and liquid eyeliners all begin their success story at Schwan-STABILO – and are now considered an essential item in every cosmetic bag. 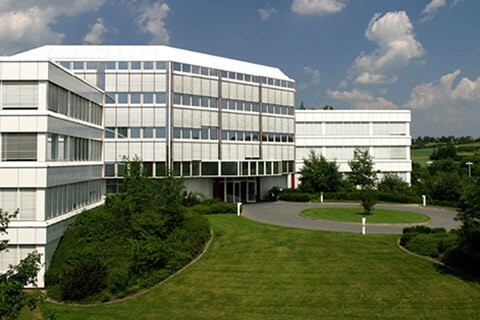 Move to the new head office in Heroldsberg near Nuremberg, and re-structuring of the company as a holding company. Acquisition of backpack manufacturer Deuter. The outdoor trend is still on the rise. Nevertheless, both family and management have the courage to take a decisive step. The group's structure is expanded by a third division with its entry into the outdoor sector. 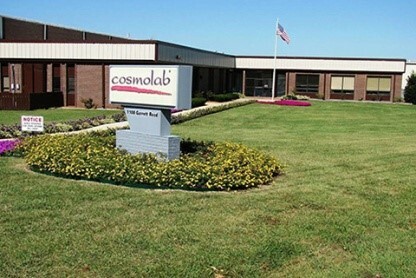 Schwan Cosmetics GmbH & Co. KG acquires American cosmetics manufacturer Cosmolab based in Lewisburg, Tennessee. With this move, Schwan Cosmetics enhances its international presence in this region, adding to existing subsidiaries in the USA and Mexico. Grand opening of the new STABILO CUBE building and commissioning of the new cosmetics manufacturing facility in the USA. 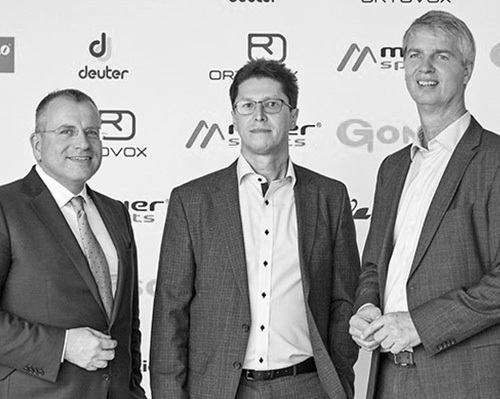 The acquisition of the Maier Sports group expands the Outdoor portfolio, adding the Maier Sports and Gonso brands. 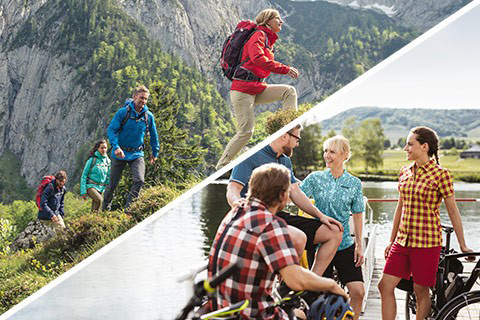 The acquisition of the Maier Sports group in July 2015 expands the Outdoor portfolio, adding the Maier Sports and Gonso brands. 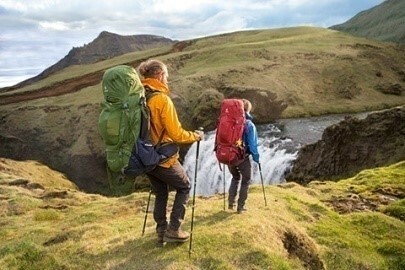 Up until now, the Outdoor division of the Schwan-STABILO group has been made up of the backpack specialist Deuter and the mountain sports brand ORTOVOX. Schwan-STABILO opens its own crèche, “ColorLand”. The crèche offers 24 childcare places very near to the parents’ workplace. It has a main room with plenty of toys and a ball pool. Outside there is a slide and a nest swing. In the large, shady garden, the children can play and explore to their hearts’ content. Industry 4.0 is already a reality at Schwan-STABILO. 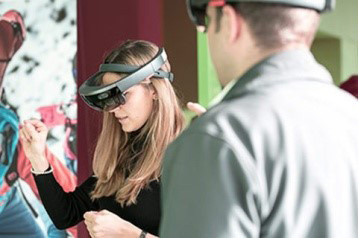 In order to bring all employees along on the road to the future, the group has launched an extensive qualification programme and trained the first “Digital Transformation Managers”.